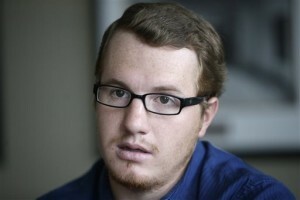 ST. GEORGE – In an episode of CNN’s “This is Life” that aired Wednesday, TV journalist Lisa Ling interviews two of Warren Jeffs’ children who, for the first time, publicly detail life with their prophet father and allegations that Jeffs sexually abused them. An encore presentation of the show will air Saturday. Becky and Roy Jeffs, children of imprisoned Fundamentalist Church of Jesus Christ of Latter Day Saints prophet Warren Jeffs, both recently left the FLDS church, bringing the total number of Warren Jeffs’ ex-FLDS children to four, according to CNN. The two Jeffses spoke candidly with Ling as the episode was taped. In a CNN video package, Ling says speaking publicly about these matters wasn’t easy for the two, but they want the world to know the truth about their father. “They want the world to know, and particularly they want people who are still in the FLDS to know – people who still regard Warren Jeffs as the prophet,” Ling went on to say. Warren Jeffs had approximately 60 children with his estimated 78 wives, according to CNN. When Warren Jeffs began taking over leadership of the FLDS church, he started taking girls as young as 12 years old to wife. In 2011, Warren Jeffs was sentenced to serve a prison sentence of life plus 20 years for sexually assaulting two of his underage brides. But Warren Jeffs’ victims went far beyond those two girls. Becky and Roy Jeffs are not the first of Warren Jeffs’ relatives to come forward with allegations that the FLDS prophet sexually abused them. The documentary film “Prophet’s Prey,” which was shown at the DOCUTAH film festival this year, features interviews detailing many alleged sexual crimes Warren Jeffs perpetrated against young victims – both family members and young members of his church. In the CNN special, Roy Jeffs tells Ling he remembers his father molesting him when he was 4 or 5 years old. “One of my earliest memories is of him sexually abusing me,” Roy Jeffs said. “I remember him telling me, ‘You should never do this,’ and then he did it to me,” he went on to say. An encore presentation of “This is Life with Lisa Ling: Children of the Prophet” will air Saturday at 8 p.m. EST on CNN, or the episode can be viewed online via CNNGo. Like I said once before, we’ll probably never know how many young kids that the prophet molested and raped and abused, because of the secretive nature of pligs they’ll never be forthcoming with these details. The pligs continue to enable this type of thing and hopefully the LDS mormons and LDS leadership will not continue to turn a blind eye forever, but we can only hope. Jeffs had many many plig men and women who supported and enabled him with his perversions and criminal acts, and these pligs should all be locked away with him. If I was religious I’d say they’ll all be condemned to hell for what they’ve done, wicked wicked creatures. Heartbreaking.. srrsly, my heart feels so heavy when i hear people having to live with ptsd and heartache and memories like this.. I am praying they have newer bigger, better wonderful memories in life that they can cling to and begin a happy journey in what could be an amazingly wonderful life. please don’t let this overshadow your whole life.. All people who have had to start their journey in life like this.. my hope is they can make a whole new direction, with therapy, love and friends and family warm hearts can rebuild..
A cult is a cult is a cult. The LDS polygamists are not the only people who’ve ever engaged in child sexual abuse; they’re just the ones who institutionalized it and made it part of their cult. All to the glory of God. Sorry Debbie, but kids who start life this way don’t forget it. They may get past it and have better lives with good memories, but the black cloud of childhood sexual abuse lingers just over the horizon no matter how much therapy they have. A child does not yet have the reasoning capacity to understand that what happens is not his or her fault and that’s the piece that never goes away. Jeffs and every other child sexual abuser deserve every minute they’ll spend in eternal damnation.